Saw this idea a while back and LOVED it! Immediately, I was reminded of my childhood love for Macaroni and Cheese with chunks of hot dogs thrown in the mix. 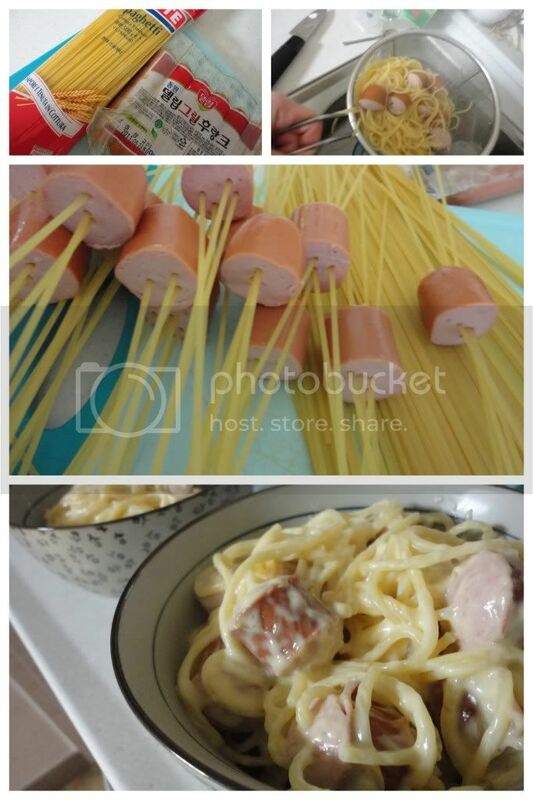 So it was, I found myself piercing hot dogs (that tasted like Polish sausage) with dry spaghetti noodles before tossing them all in a pot of boiling water and topping with Cheese Sauce.